The Lee’s Summit R-7 Board of Education approved the employment of two new principals at the organization’s March 15 meeting. Dr. Troy Hogg, currently principal at an elementary school in Kirkwood, will serve as principal at Hawthorn Hill Elementary for 2018-19. He is replacing Carol Germano who is retiring in summer 2018. 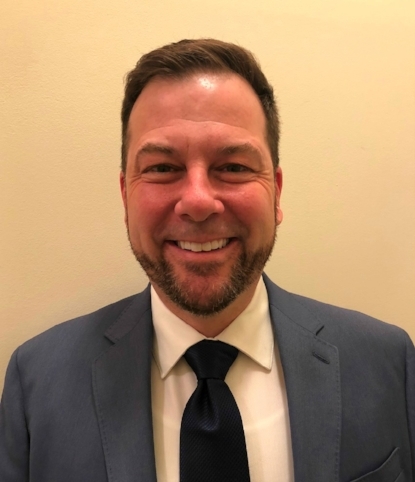 Dr. Jeremy Bonnesen, currently assistant principal of Summit Technology Academy, will serve as principal of the Academy next year. He is replacing Elaine Metcalf, who is also retiring in summer 2018. Dr. Hogg has worked for W. W. Keysor Elementary in Kirkwood since 2015 and previously worked as a principal, assistant principal and teacher in the Columbia, Sedalia, Osage and Jefferson City school districts. In addition, he served as an exchange teacher in Japan from 2000-2003. He was named a Missouri STARR Teacher by the Missouri Department of Elementary and Secondary Education in 1997-98 and was selected as the Osage R-III School District Teacher of the Year for 1995-96. Dr. Hogg earned his bachelor’s degree in elementary education from Lincoln University, his master’s degree in elementary administration from William Woods University, his educational specialist degree from the University of Missouri and his doctorate in educational leadership and policy analysis from MU. Dr. Bonnesen has served as the assistant principal at Summit Technology Academy for the past four years. He previously served as the Lee’s Summit R-7 lead middle school lead counselor, as lead counselor at Pleasant Lea Middle School and as an English and Spanish teacher at Pleasant Lea Middle School. Before coming to Lee’s Summit, he worked as an English and Spanish teacher at Oak Grove High School. Dr. Bonnesen earned his bachelor’s degree in secondary English from the University of Central Missouri, his master’s degree in school counseling from the University of Central Missouri, his education specialist degree in educational leadership from Saint Louis University and his doctorate in educational leadership from Saint Louis University.